Discussion in 'General' started by Pat Atkins, Apr 14, 2019. 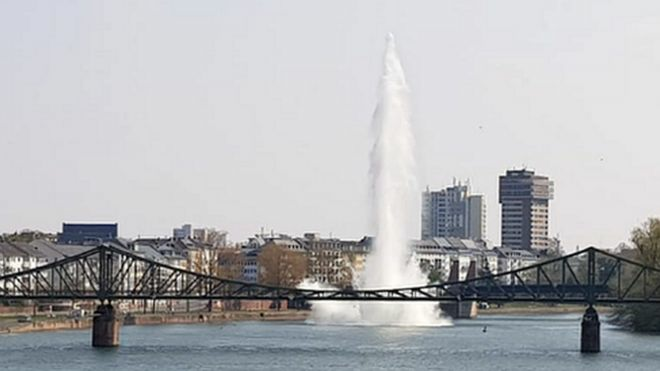 BBC is reporting the detonation of a "250kg (550lb) device" found in the River Main. It's an interesting bit of news (alas can't link but it's on the main news site); however, my question is: did we and/or the Americans employ 550lb bombs? Or would this be, say, a 500lb bomb which has been converted to metric then reconverted to Imperial, gaining a bit in the process? Neither ordnance nor maths is my subject, as you can tell! CL1 and HA96 like this. ozzy16 and HA96 like this. Must be on YouTube too. canuck, ozzy16, SDP and 4 others like this. Wow, that's quite a blast! Thanks for posting the clip. My original (if badly-posited) query still stands, though: was 550lb a "standard" Allied bomb? Pretty sure I've come across references to 500lb bombs in accounts, ORBs, etc. but I can't recall mention of a 550lb one (quite prepared to be wrong, mind you - I really don't know anything about ordnance). I believe the Germans had a 250kg (=550lb) bomb - but the Allies? 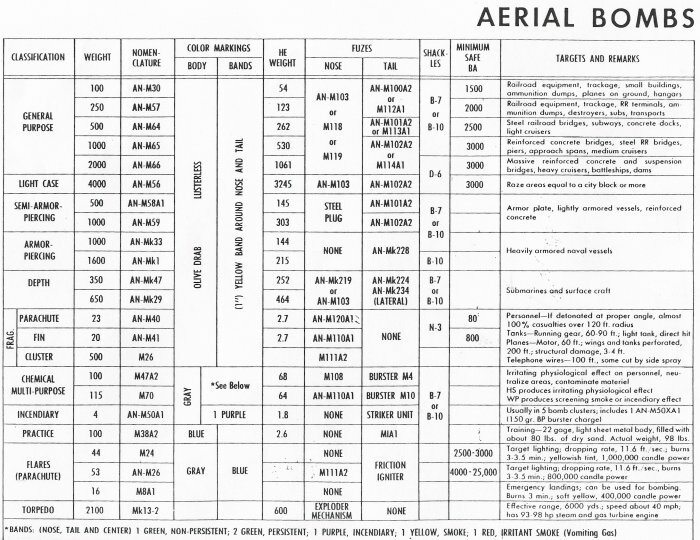 Allied air force bombs were always categorised as imperial weight in lbs. The 8000 lb bomb consisted of 2 x 4000 lb bombs,(designated as Blast bombs,colloquially referred to as a Cookie) with the casings bolted together.There was also the configuration of a 12000 lb bomb constructed by 3 x 4000 lb like bombs,again with the casings bolted together.This development was different from the later introduced 12000 lb Tallboy which was constructed as a whole bomb. The developments of the multi 4000 lb configurations were overrun by the introduction of the Tallboy,first used in June 1944 and 854 dropped against targets.The Grand Slam followed in operational use from March 1945 and 41 were dropped against appropriate targets. Peter Clare and timuk like this. I guess so, but just wondered if there were other weights 6Id not encountered - I nearly posted "will just wait for Harry Ree, who will know", too! If we leave out fragmentation and incendiary bombs, the standard USAAF bombs were 100 lb, 300 lb, 500 lb 1000 lb and 2000 lb GP bombs and 500 lb, 1000 lb SAP plus 1600 lb AP. So the bomb in question was probably a 500 lb (227 kg) GP bomb. There was also a 4000 lb GP bomb but 8th AF probably never used it in combat. ozzy16 and Harry Ree like this. After my post I looked up references to bombs available to the USAAF. GPs 100,250,500,1000,2000 and 4000 pounders,the later being designated as "Light Case" GP as the Blast type Cookie and seemed to have got the idea from the British.... reducing the casing weight to enable a larger charge of HE to be carried,ie approaching 80% charge. As regards the bomb types available there were about 80 in total but 15 were used by the B 17, B 24 and B 29 ( the 4000 lb Blast bomb was used exclusively on the B 29) These were composed of the conventional types, namely GP,HE ,Incendiary,Fragmentation plus controllable bombs which had been developed prewar by the USN coming under the category of "Stand Off" and "Glide".....not much of an operational success,it has been recorded. Interestingly,USAAF B 17s did drop Russian 225 kg (approx 500 lb) bombs on German targets when returning from Russian territory airfields during shuttle runs from their bases in England in 1944. In my time, Lincolns based the UK only used 25 lb practice bombs for the ranges unless on detachment abroad to places such as Malaya or during the Mau Mau Emergency, when bombs as appropriate to the op were carried. As can be seen from the above, there was a 550lb German bomb.